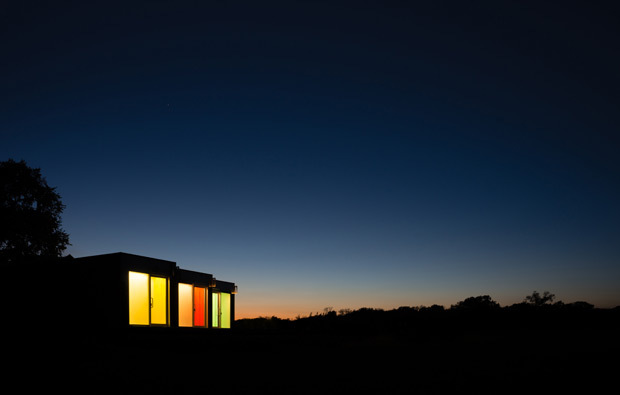 Architect: Peter Sampson Architecture Studio Inc. 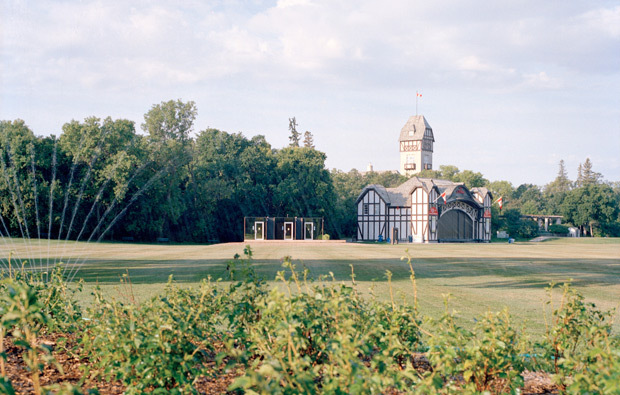 The project is a delightful “folly” located in Assiniboine Park. The program is a simple public washroom facility composed of three decommissioned shipping containers. 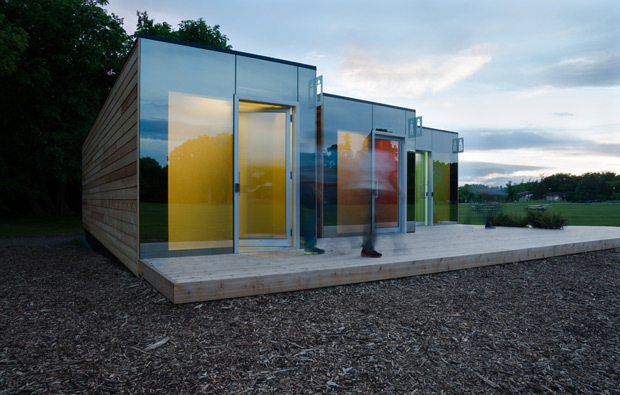 The project was constructed off site and transported to the park to reduce costs and limit disruption to the site. 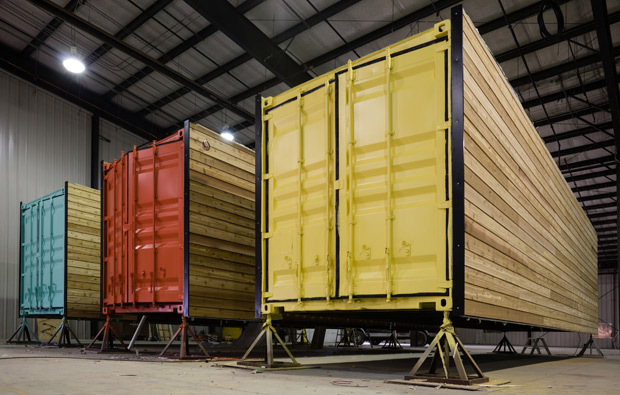 Portions of the original metal walls of the shipping containers are brightly painted and left exposed at the interior. The exterior is clad with cedar and glass with brightly colored panels behind transparent glazed entries. The three containers are gently splayed and set back from one another and surrounded with a generous deck. Raised above the flood plain on a plinth, by day the buildings provide a striking backdrop to the natural forest setting, while at night they serve as a beacon to passersby.